During my vacation in August I spent a couple of days in New York City. While I was there I went to the Metropolitan Museum of Art. It’s a huge place with all kinds of interesting things to see. They have rooms dedicated to art from different parts of the world and different periods of history. I especially enjoyed the room with European paintings from the 1600s and 1700s. Many of them were inspired by different Bible stories. 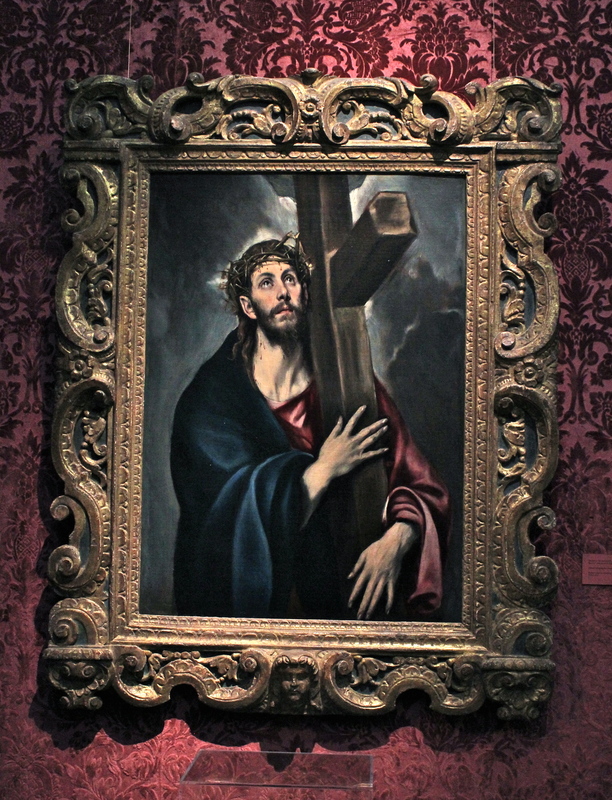 One painting that grabbed my attention was a painting of Christ carrying the cross. He has a look of pain but also hopefulness as He looks upward. He is looking to the Father for strength and looking ahead to when the agony of the cross will be finished. While I was looking at the painting and thinking about what Jesus endured at the cross for us, a lady went and stood next to the painting and had a friend take her picture. There isn’t anything technically wrong with what she did and maybe her motives were great. It did feel to me, though, as if she was photobombing Jesus. It seemed like she was sticking herself in a picture where it should have been Jesus alone filling the frame. In a similar way, there are a lot of times in life when the glory and honor belongs to Jesus alone, but we try to stick ourselves in the picture. Previous to my visit to the museum, at other tourist sights I was at in New York, people seemed to be constantly sticking themselves in the picture. It was like they couldn’t take a picture of something unless they were in the shot. “I only want a photo of the Statue of Liberty if I’m in it.” Selfies seem to be the only kind of picture some people want to take. What kind of photos people take is their business, of course. The bigger question, however, is: does our thought life take nothing but selfies? Is the viewfinder of our mind always focused on us? Another picture t hat grabbed my attention at the museum shows a family gathered around a table, with Jesus in the middle of them. The information about the painting said the artist was inspired by the Lutheran teaching on the real presence of Christ. He tried to convey the sense that Jesus is present in all that we do in our day-to-day lives. The Lord is graciously willing to be present in our homes, at our dinner table, in the car while we drive, at work, at the game and wherever we might be. Jesus promised, “I will not leave you as orphans; I will come to you” (John 14:18). He is present with His love and grace, His direction and protection. We should not be trying to push our way into Jesus’ picture. He deserves all the focus, attention and praise. We rejoice, though, that Jesus is willing to enter our picture. Our picture is far from perfect. Sometimes it isn’t very pretty. But Jesus is willing to enter in and bring a beauty to the picture that can’t be found anywhere else.